This is a hardcover book with a dust jacket. It contains almost 200 pages of full colour illustrations. Right at the front is a multi-fold page that unfolds into a small Dragon Ball poster with a thank you note from Akira Toriyama. Following on are illustrations from the weekly JUMP title covers as well as comic covers. Each is fully coloured and reproduced big. It really brings back memories of reading the comic, as well as anticipating weekly at the comic book store. It's really great again to marvel at the uniform ink strokes and character designs of Akira Toriyama. Every piece of work is annotated at the back of the book. Included is also the very unique sequential spine art for the comic, which at that time I thought was really cool. There are also mugshots of Akira Toriyama over the years, including photos and icons. An interview with Akira Toriyama is also included to give this book some depth. 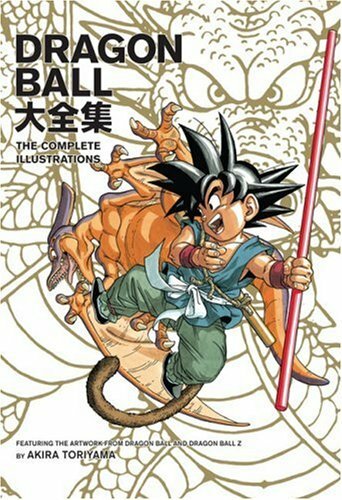 There's really nothing not to like about this book if you're a Dragon Ball fan.